Back on the 13th, we ran through a video tutorial for users looking to check out the CyanogenMod which has essentially been ported over to the Motorola Droid. While that process seemed to create issues on various levels, the newly released v5.0.5 comes packed full of easiness. So if you are sick of waiting for Android 2.1 from Verizon and are in the mood to check out what we believe is the best custom ROM on the planet, then let’s do this! *Note 1* – Before performing this you may want to create a backup of settings and apps which we covered at this post. 1. 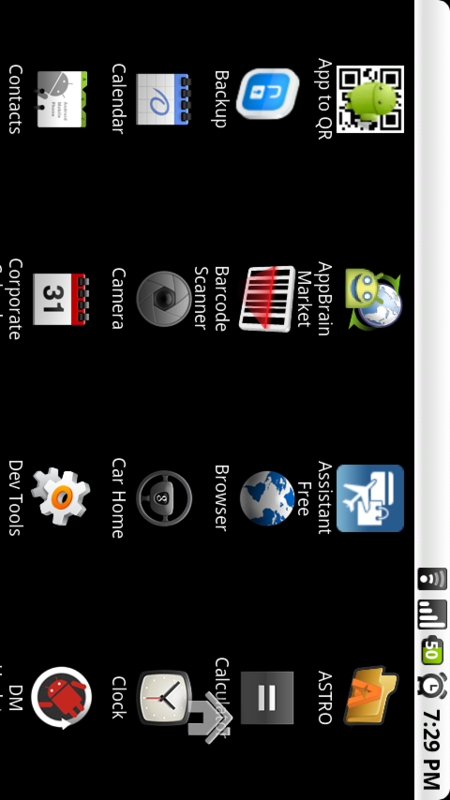 Root your phone using DM Updater. If you want a backup created, fully install DroidMod 1.0. 3. 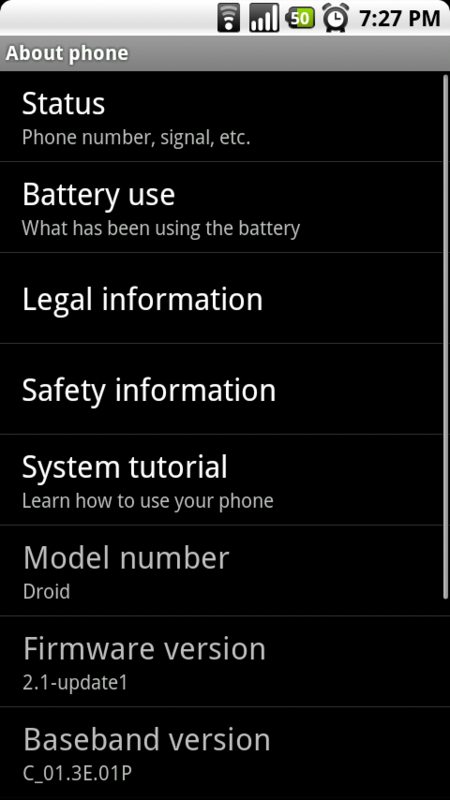 Open ROM Manager and tap “Flash ClockworkMod Recovery” and confirm model as Motorola DROID. 4. When prompted for access, check “remember” and then tap “allow”. 5. If it appears to freeze during this process, just hit the “home” key and re-open ROM Manager. 8. Check both options for Google Apps and Modules and then hit “OK”. 9. The ROM will now be downloaded. 10. When it finishes, you will be prompted to install the ROM with options “Backup Existing ROM” and “Wipe Data and Cache”. Choose both as you can now choose the backup option and the Clockwork recovery will not freeze. Tap “OK”. 11. Let the phone boot into recovery and watch it work backup/ROM magic. 12. Your phone will boot back up once finished. Log in to your Google account and you are done. Instructions if coming from Cyanogen 5.0.4.2? 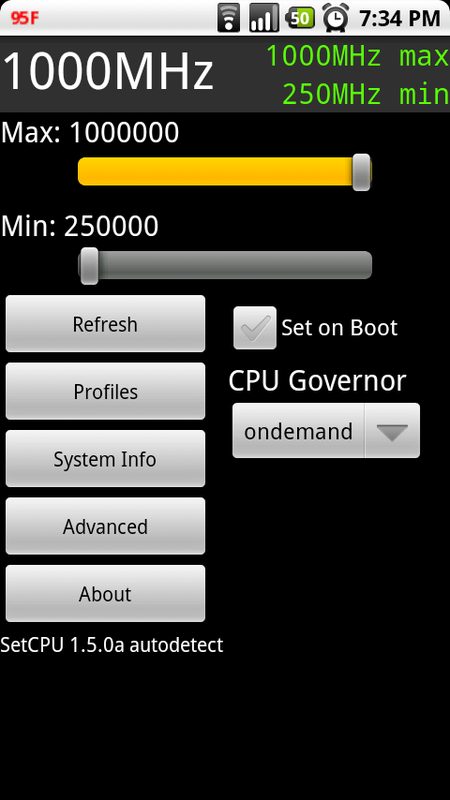 Open ROM Manager, perform a backup, download the new version through ROM Manager and then install it. You also should not have to “wipe data and cache”. If you are currently running 7 screens, you may get some force close issues after installing as 5.0.5 defaults to 5 screens. Think about switching to 5 screens before loading this new ROM. 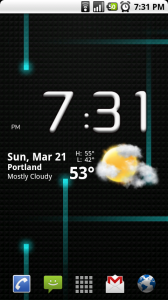 Try going back to the stock 3 screen launcher plus removing all widgets before upgrading. For the newest release details and support, check out the CyanogenMod forums. The delay after pressing “home” while being in the browser has been eliminated in this version. 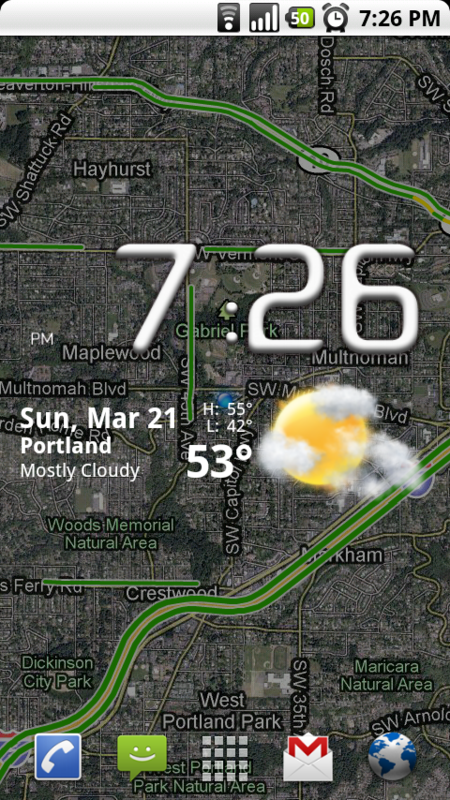 You can now utilize the Google Latitude live wallpaper which I’ve capped above. 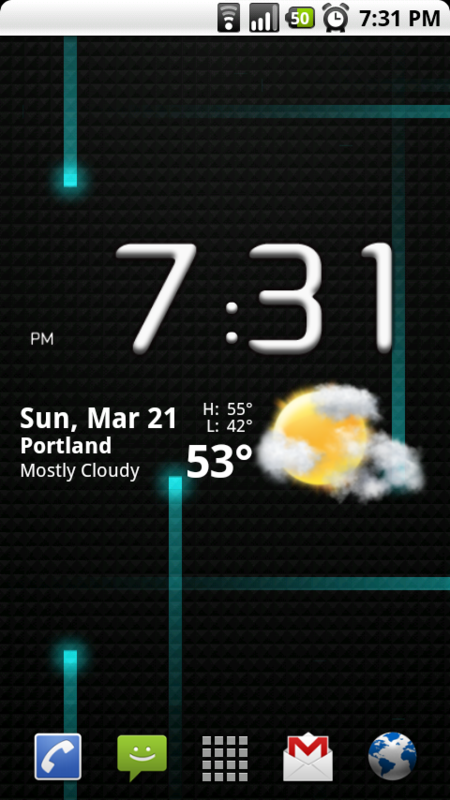 The HelixLauncher is also incredibly fast now. Can still be overclocked to 1000Mhz. If you want to return to stock, you can do so at this post. As always, if you decide to go this route, please let me know how it all works out! German Milestone Shipping with Android 2.1?